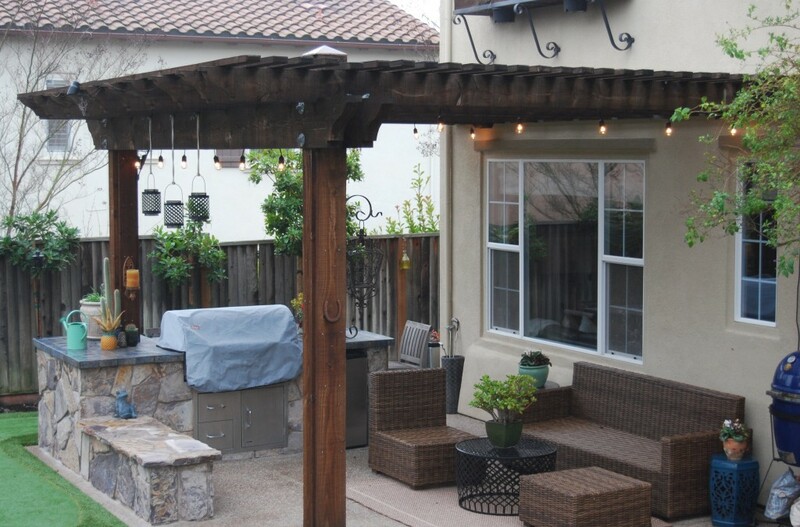 A new arbor with BBQ and outdoor kitchen completed by Hawkins Pools for a home in San Ramon. Hawkins Pools designed and constructed the arbor and outdoor kitchen for this home, utilizing the available space to create an exciting outdoor living space. It is important that an experienced contractor like Hawkins Pools provides a BBQ or outdoor kitchen design that fits into the home owners needs as well as meets the construction standards. Contact Hawkins Pools to design and build your outdoor BBQ or kitchen. Hawkins Pools also design and construct swimming pools, arbors, BBQs, pavilions for home owners in Danville, Blackhawk, Alamo, Lafayette, San Ramon and other bay area cities.